The second-year Wits mining engineering student who is believed to have committed suicide on Thursday, May 10, in Braamfontein has been identified as twenty-year-old Sanele Xolani Dlamini. Dlamini’s death has left students reeling from shock and grappling with questions after the young student apparently jumped from the third floor of the South Point Clifton Heights residence in Biccard street. Second-year BA Law student Tlotliso Sejojo, a close friend of Dlamini’s, described him as a person with a colourful personality. “When he came to our room, he lit up our room,” Sejojo said. 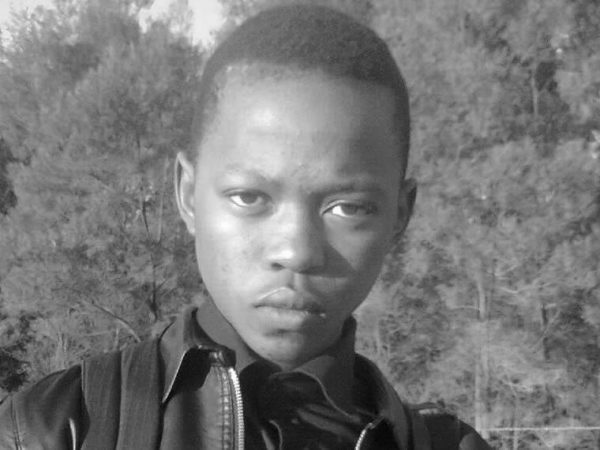 Sanele Dlamini is believed to have jumped from the third floor of the Clifton Heights building last week. Photo: Facebook.com. “I saw him the day that he died; we even planned to meet later this month,” Sejojo said. He added that he could see that there was something wrong with his friend but added that there was no sign that he was speaking to Dlamini for the last time. Sejojo said his friend lived to maximise other people’s happiness but that there was more behind his laughter. According to him, Dlamini had changed since the beginning of the year and became more withdrawn. Fellow resident and second-year mining engineering student, Nontuthuzelo Mlotshwa, said the student residents at the residence are still very shocked. “We cannot believe that such a thing could happen to somebody that was always so bubbly. A sense of trauma is still very much there,” Mlotshwa added. According to Sejojo, Dlamini had a bursary to fund his studies and was looking forward to working after graduation. “He enjoyed his course and enjoyed being at Wits. He was excited about life. We were looking forward to being successful together,” he said. South Point regional marketing manager, Kheta Msane, told Wits Vuvuzela that a night vigil was held for Dlamini on Sunday, May 13 at Clifton Heights and a memorial service will be held tomorrow, May 16 at 17:00 at South Point Central. Kheta added that South Point is offering counselling services to students who would like to speak to someone. Educational psychologist at the Wits Counselling and Careers Development Unit (CCDU), Sharmeen Naidu, said that CCDU therapists provided a debriefing at South Point on Saturday, May 12. The CCDU will be offering counselling to anyone for as long as they require help. SRC Spokesperson, Sandla Mtotywa, told Wits Vuvuzela that the SRC will be hosting a memorial service for Dlamini in conjunction with the Division of Student Affairs, the Faculty of Engineering and Built Environment and the School of Mining Engineering. The School is also expected to hold its own memorial service tomorrow, May 16 from 13:00 – 14:30 in the First National Bank Building Lecture Theatre 101 on Braamfontein West Campus. FEATURED IMAGE: The Clifton Heights building in Braamfontein. Photo: Sanet Oberholzer. Wits Vuvuzela, Mining engineering student dies in Braamfontein suicide, May 11. Wits Vuvuzela, Health Focus: Safe spaces around campuses, April 2018. Wits Vuvuzela, Depression behind Braam suicide – friends, October 2017.